Eight contact block ruggedized to prevent cracks and damage. Contacts not included. 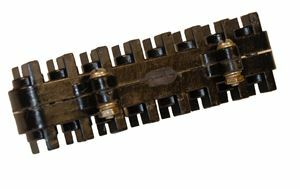 Eight contact block with NPE's exclusive solid threaded contacts. Solid contact with hardware and screw connection eliminates the need for crimped and soldered connections.